Nature is alive and active 24 hours a day. Capture some of the elegance, beauty and fragrance of nature's nighttime offerings for your backyard or garden with flowers that bloom under the light of the moon. Open a window and enjoy the aroma as the flowers try to attract pollinators. Light-reflecting white is the dominant flower color, but there are reds and yellows that will add contrast to your collection. 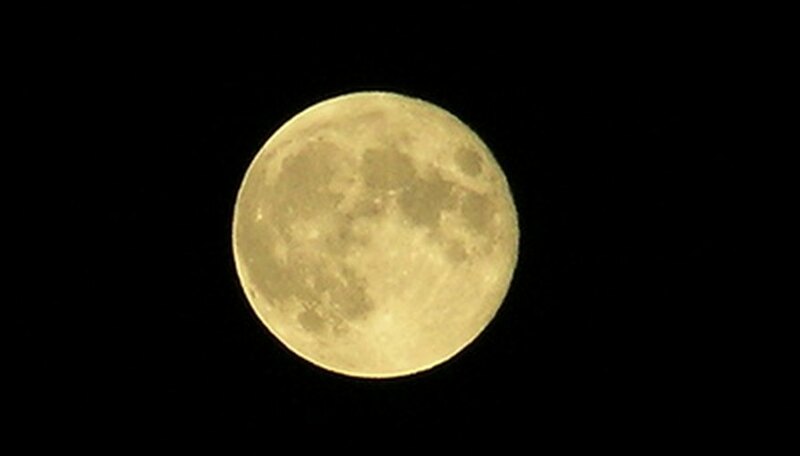 Several night bloomers are poisonous, so exercise caution when choosing moon flowers for your garden. Moonflowers (Ipomoea alba) are large and fragrant flowers that bloom only in the evening and at night. They are related to morning glories and many gardeners will plant the two together as companion plants. The flowers average 5 to 6 inches in diameter and grow on fast-climbing vines that will grow 8 to 10 feet long when supported on trellises or fences. Once it starts, it is a vigorous grower, but it can be difficult to germinate the seeds, and the seedlings do not tolerate much movement. Use peat pots if you start the plants indoors and plant the pot in a sunny location without disturbing the roots. Moonflowers are hardy in warmer climates, but in cooler climates treat them as annuals. They produce many seeds, so you will have an abundant supply to begin again the next season. The common evening primrose (Oenothera biennis) produces pale yellow flowers that bloom in the evening and close up by morning. It has a mild scent reminiscent of lemons. The plants grow, on average, between 4 to 6 feet high. Place this plant in full sun and expect to have flowers throughout the summer. The flowers are 1 to 1 1/2 inches wide. It is a common sight in many places in its native North America and is found along roadsides and in abandoned yards. These primroses are hardy in temperate zones where the low temperatures range from 15 to 20 degrees Fahrenheit. Angel's trumpet (Datura innoxia) grows 3 to 4 feet tall and produces large white or yellow flowers, typically measuring 6 inches. The flowers open at night and many blossoms will last through the morning hours. The plants produce flowers from midsummer until fall, around the first frost. The plant is native to South America, but is hardy to 5 degrees Fahrenheit. Angel's trumpet flowers are very fragrant. The foliage is a dark bluish-green color. 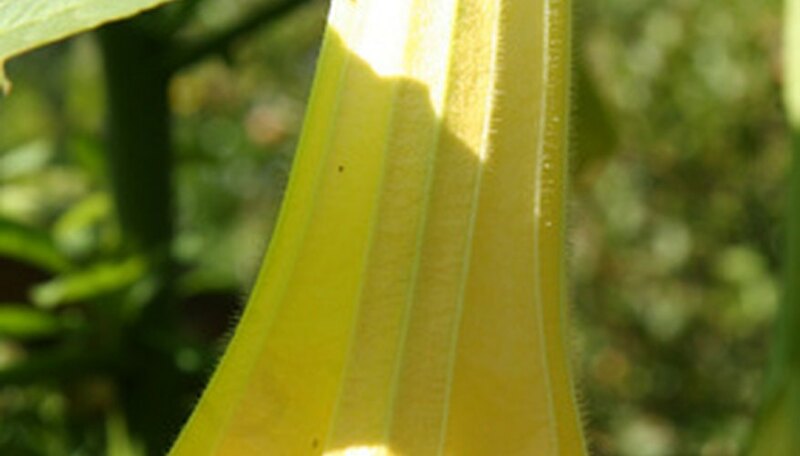 Keep angel's trumpet away from children because it is poisonous. Flowering tobacco (Nicotiana alata) belongs to the Nightshade family. 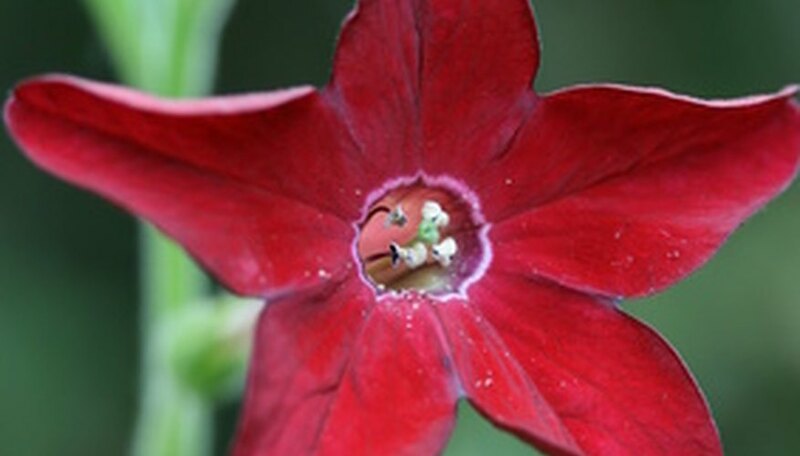 According to the National Garden Bureau, 2009 was the year of nicotiana with its appealing beauty and alluring fragrance.Typically, the garden variety has large, trumpet-shaped blooms; at night these open in shades of red, pink, purple, green and yellow. Many species reach 5 feet in height; however, there are some species that are being developed to be much more compact. Exercise care when working with nicotiana and treat it as you would any tobacco plant. Four o'clocks (Mirabilis jalapa) bloom in the evening, showing off delicate red or yellow blooms. They are highly fragrant and will attract hummingbirds to the garden. Some gardeners call it "the marvel of Peru" because it is a native of Peru. Four o'clocks are hardy between 40 and 5 degrees Fahrenheit. Elsewhere, grow them as annuals. It is a bushy plant with dark green foliage that grows between 36 and 48 inches high. It blooms most profusely in late summer and early fall with flowers that are roughly 2 to 3 inches in diameter. The seeds of four o'clocks are poisonous.